Symposium is a Greek word that means drinking together. It refers to parties in which people sat around, drinking wine and talking about life. One of these parties, attended by Socrates, was immortalized by Plato in his writings. You can easily recreate a symposium atmosphere in Portugal. First, invite some great friends. Second, procure three great ingredients: rustic bread, Azeitão cheese and Piriquita wine. 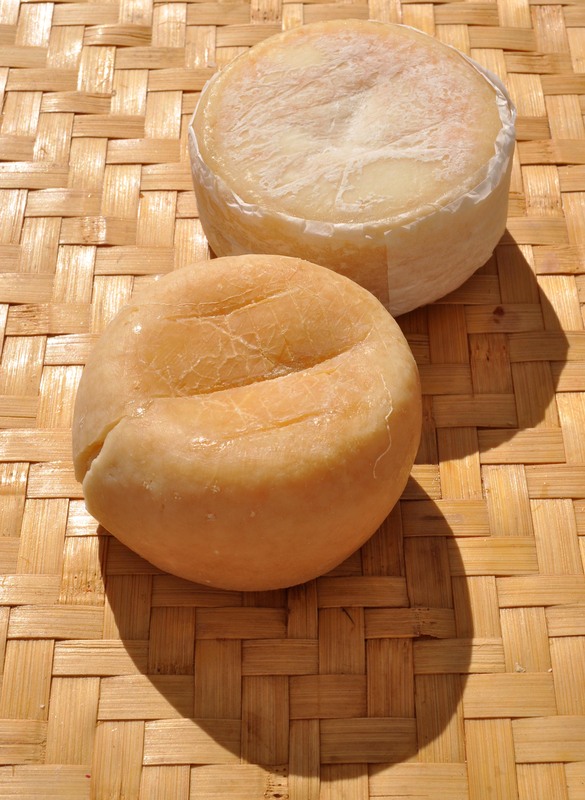 Azeitão is produced with sheep milk in small farms in the Arrábida mountain with the same techniques used to make Serra cheese in the Estrela mountain. But different pastures make different cheese, so Azeitão has a taste all of its own. Piriquita is a wine from the nearby Palmela region, produced with a grape varietal known as Castelão or Piriquita. This wine and cheese are a heavenly pairing. So, you’ll have a good time, even if no philosophers show up. But, if you’re lucky, the conversation will be so brilliant that people will still talk about your party in 2500 years. The Azeitão cheese produced by Fernando & Simões in Quinta do Anjo is one of our favorites. “Tortas de azeitão” . Should’n miss! Thanks for the suggestion, Teresa. We will have to check these out! Yes, yes, yes. So good!